“a very happy impression was made on my mind, by a piece which was given me to write, and in the performance of which I had to exhibit a specimen of my best handwriting. 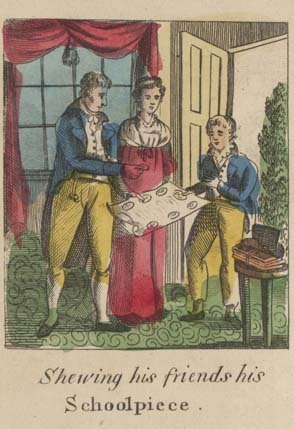 The sheet was decorated round its edges with a number of pleasing figures, displayed with taste and simplicity. In the centre my performance was to be contained. This was a transcript of the visit and salutation of the angels to the shepherds… who were tending their flocks by night. The beauty of the sheet; the property I was to have in it; and the distinction which I expected from performing the work in a handsome manner; prepared my mind for relishing the solemn narrative… I was highly pleased with the whole.” (quoted in Charles Monaghan, The Murrays of Murray Hill. Urban History Press, 1998, pp. 9-10). The Pilgrim’s Progress. JJColl: Educational folder 5 (8). 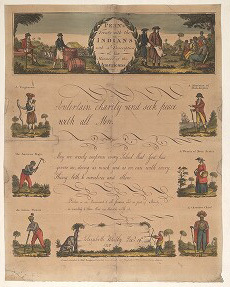 Sometimes a place for their signature—and perhaps the date of completion or the name of their school—was incorporated into the pictorial border. In format, school pieces recall prints on which a border design encloses letterpress type. 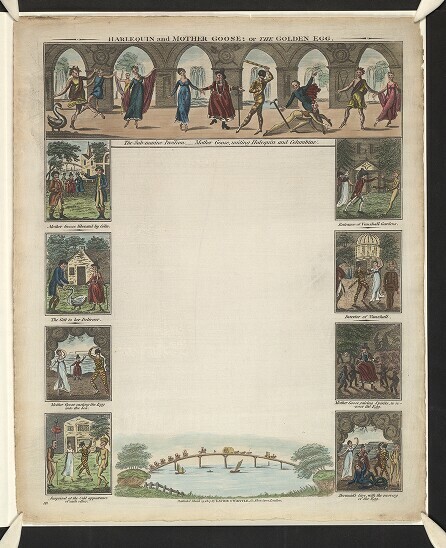 School piece borders were often narrative, their content diverse. Some illustrated bible stories, others popular works of literature or history or even theatre productions. Others taught lessons in geography, writing or more intangible subjects like politeness, industriousness or the virtues of commerce. Yet others portrayed the news of the day, from military and naval victories through notorious crimes and cataclysmic events. 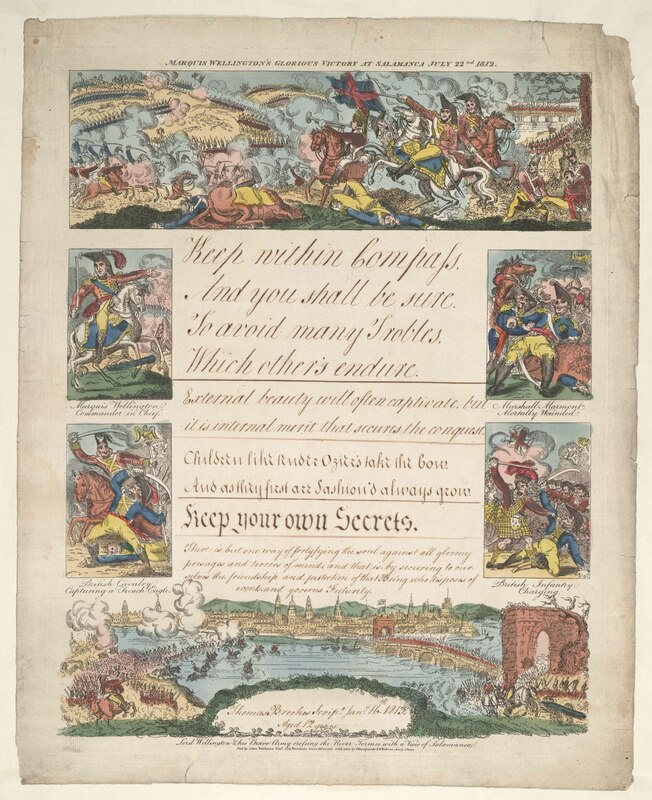 Curators and antiquarian booksellers call these sheets “writing blanks” or “writing sheets”. In the long eighteenth century they had many names, of which “school piece” was the most common. 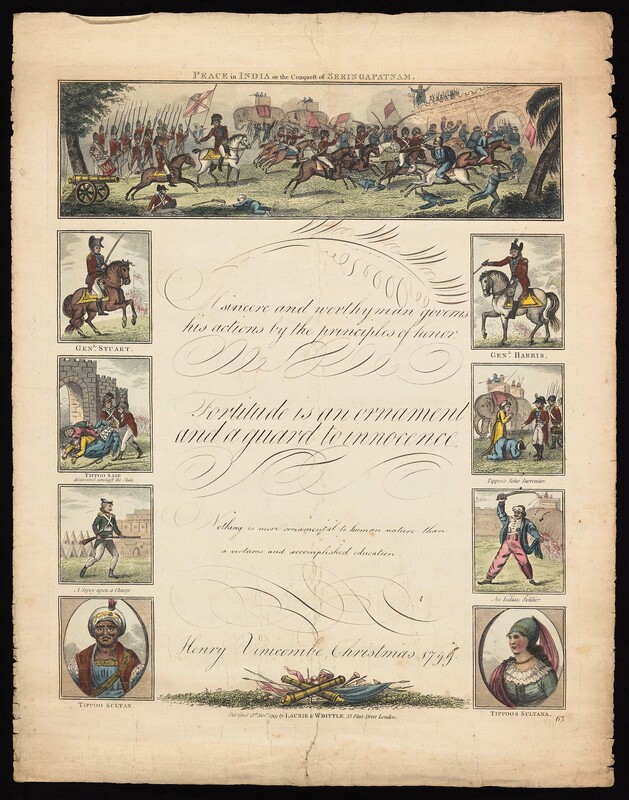 Printed from copperplates, they were published between about 1660 and 1860. 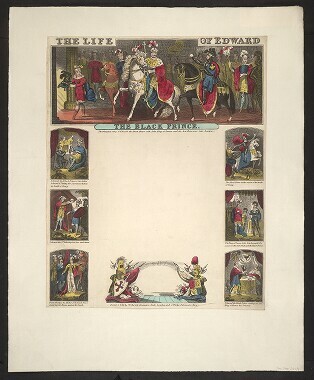 As with other kinds of relatively cheap prints, the survival rate for school pieces is very low; the Bodleian is fortunate to hold well over 100 examples. 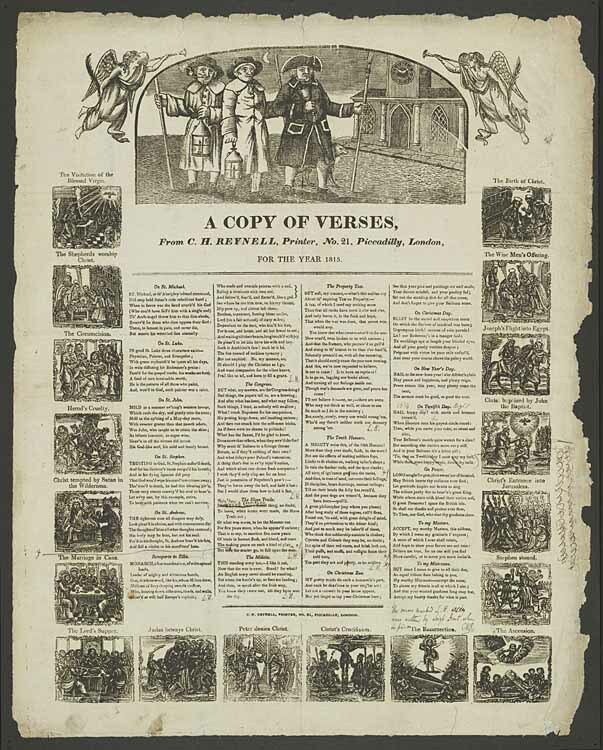 Rare as these sheets are, and difficult as it is to trace the history of their publication, contemporary descriptions of their use are rarer still. Murray helps us to understand children’s response to their school pieces. Henry’s school pieces are special because, thanks to his descendent, who donated his pieces to the library, we know something about his life. All too often, it is impossible to establish anything at all about the lives of the children whose possessions survive in museums and rare book and ephemera collections. 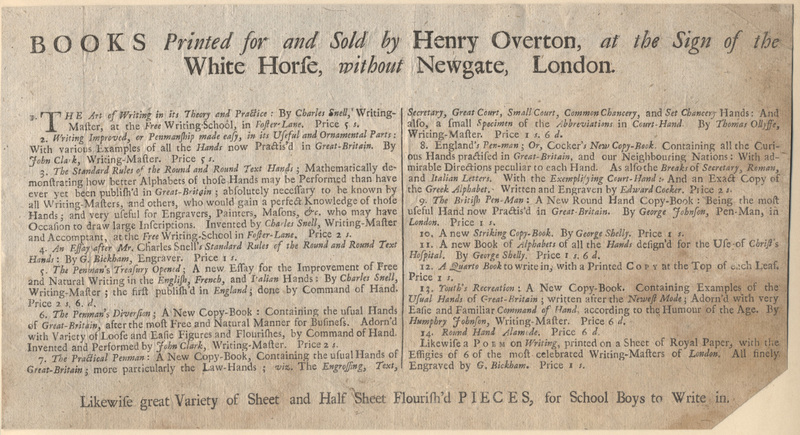 Published to coincide with the end of a school term, with new titles appearing regularly, in England they were sold wholesale to schoolmasters, who then sold them on to their pupils. 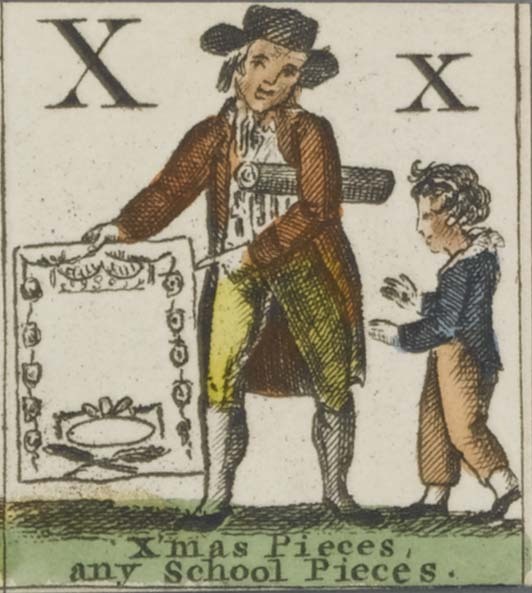 Some children purchased them directly, either in shops, or if the evidence of a set of alphabet cards of London Cries published by William and Thomas Darton can be trusted, from street criers. I’ve said we are fortunate to know Henry’s history. His father, William Vinicombe was an Excise Officer. The family lived in Marylebone, in London, where they leased a house and took in lodgers and Henry and his sisters went to school. He started working at thirteen. We don’t know his initial occupation but, like his father, it was probably something clerical, and in 1818 he followed his father into the Excise Service, and had achieved a relatively senior position before he was fired in 1843, having been found in “a State of Intoxication from excessive drinking”. As a young man he was a bit of a dandy, spending beyond his means on fashionable clothing—but also on books. He married in 1832 and had eight children. I’ve traced a few other young people whose school pieces have survived from the long eighteenth century. They were sons and daughters of tradesmen, merchants, clergymen, tenant farmers, and gentlemen. Had Henry been a girl it would be even more exciting to know his history. 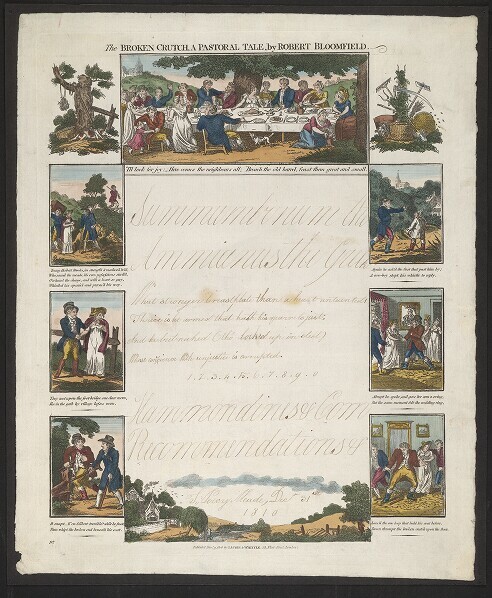 Only about a fifth of the filled-in school pieces I’ve seen were done by girls—including one by Henry’s sister, Frances Vinicombe— and contemporary advertisements often refer to them as “for school-boys to write in” (H. Overton, 1758). 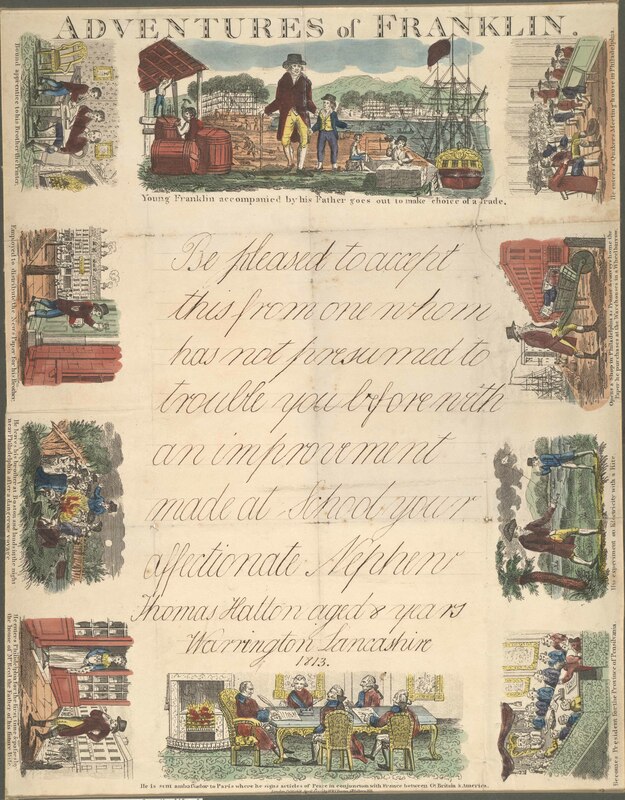 One of Henry’s school pieces celebrates Education, with emblematic illustrations representing a gentlemanly curriculum: War, Mesuration, Geography, Mathematics, History, Music, Astronomy, Fortification, Painting, Agriculture and Commerce. Like arithmetic, writing was a very important skill in the long eighteenth century for young men seeking employment. Writing masters like Joseph Champion and Philip Pickering advertised that they could “speedily” fit youths “for Trades” (Country Journal or The Craftsman, 9 January 1731) or “any of the Publick Offices” (Daily Journal, 14 June 1728). A boy who could both write well and keep accounts was almost certain to find employment. 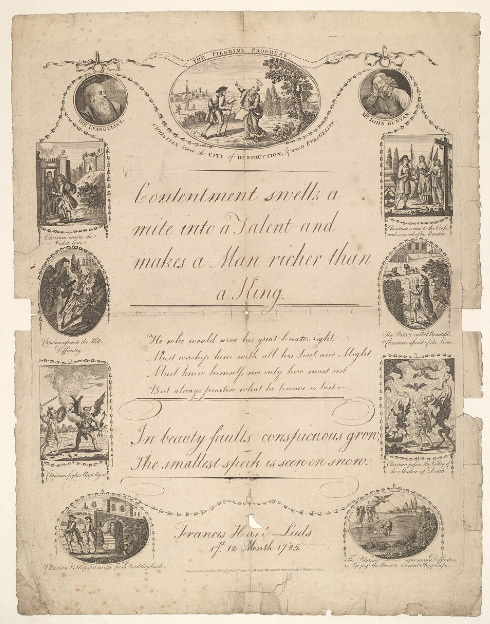 Benjamin Franklin, whose life story was told on another school piece in the collection, was a sterling example of the rewards of such industriousness.